We all love music. Many of us just love to listen while some of us are talented enough to make good music. No matter who you are or where you come from, there has to be a specific type of music that appeals to you. Be it rock, pop, jazz, or reggae, there are thousands of genres to choose from. Now that we've moved from the golden days of radios and cassettes, the Internet has become one of the most popular mediums that music is spread through. 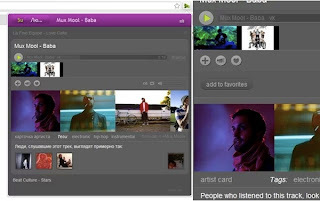 +Music is a simple extension that lets you quickly look up any artist and play a song by them. Once installed, +Music shows up as a small icon on your Chrome toolbar. Once you click on it, you'll be able to search for any artist you like and +Music will start playing a mix of songs from various sources. Though not being actively developed, +Music is a great app if you like to listen to music while you're browsing the web. This free extension is really useful if you want to make the most out of your Google Play Music account. Once installed, Better Music lets you play, pause, skip, reverse, shuffle, and repeat songs in any Chrome window. Furthermore, the extension also lets you scrobble tracks to Last.fm along with desktop notifications on song change. 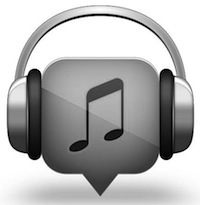 Install it if you listen to Google Play tracks on a daily basis. 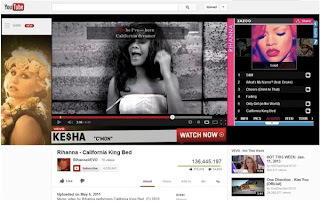 Zazoo is a great extension if you love watching music videos on YouTube. Once installed, Zazoo gives you on-video synchronized lyrics along with on-screen song chords. Moreover, you can also turn Facebook music posts into video playlists and listen to your friends’ favorite tunes together. If you're listening to your favorite artist, the extension shows you the latest tweets, news, events, and lyrics by them making your video-watching experience much more interactive. 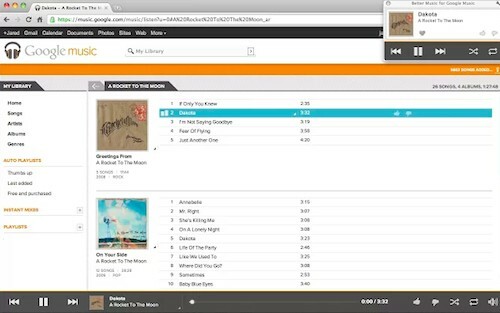 Seesu Music is a cool new extension that lets you search for music and MP3 files using your web browser. The app runs your query through various music sites like Last.fm, vk.com, and many others so that you can listen to your favorite tracks anytime you want. Apart from letting you listen to tracks, Seesu also scrobbles your currently playing track to your Last.fm profile. Overall, a handy extension if you like to listen to music from varied sources. Last.fm is a great site if you want to keep a track record of all the music you listen to. The scrobbler that sends your currently playing song to its site can be downloaded as a separate application for Windows, Mac, and Linux. Moreover, many modern Linux-based players like Banshee, Amarok, and Rhythmbox come with support for Last.fm. However, the support is limited to local tracks thus making you miss out on the scrobbles you could've had while listening to your favorite tracks on YouTube. Last.fm Scrobbler for Chrome is a free extension that takes care of this problem. Once installed, the extension will let you scrobble your currently playing song from a variety of sites. Supported sites include the likes of Amazon cloud player, Deezer, MySpace, Soundcloud, iHeart.com, Pandora, Pitchfork.com, and even YouTube. 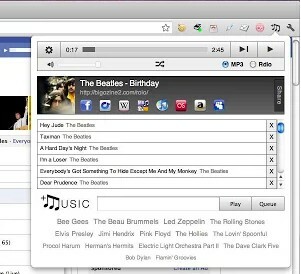 The extension shows the status of the scrobble on the right-hand side of the omnibox. Optionally, you can also enable desktop notifications for currently playing tracks. A must-have extension if you're an active Last.fm user.